After four decades of Takaful provision many challenges have emerged which need to be addressed. 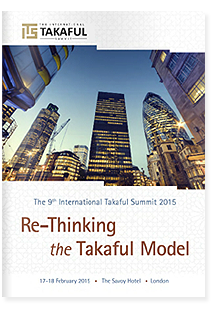 The 9th International Takaful Summit is dedicated to critically evaluating the dominant current Takaful model. The Summit will also look at provision of Takaful for large commercial risks. This will require a further adaptation to the present Takaful model which at present primarily caters to personal lines and some family Takaful products. We at the 9th International Takaful Summit will continue our role as thought leaders for the global Takaful community. 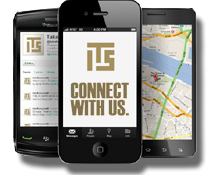 This year the Summit will take place on the 17-18 February 2015, at the prestigious Savoy Hotel – London. The growth of the International Takaful industry and demand of Shariah compliant financial product has seen The International Takaful Summit grow from strength to strength, dubbed by delegates and sponsors alike as “The Takaful event of the Year”. The summit is now in its ninth year and receives invitations from numerous countries to host the event, which on average attracts over 350 – 400 international delegates. What is unique to other commercial events is that this summit is created for the industry with the considerable support of the industry. The event is by invitation only and unlike other events the summit is free of charge to attend as it is fully subsidised by the hosting organisations and supporting sponsors. In an industry filled with conferences, summits and workshops on Islamic finance, there is a keen need for outstanding events of excellent calibre that draw new institutions as well as industry stalwarts together. ITS takes great pride in achieving this through targeted delegate invitations and supremely focused events organised by a team of industry researchers. The Summit has so far seen over 3,200 International delegates participate from over 30 countries. Our delegates are top decision makers, Chairmen, Board Members, CEO’s, Presidents, Executive Directors, Vice President and other Senior Executives. Industry participation also benefits from a dynamic platform ranging from government institutions, leading Takaful & Retakaful organisations, legal and academic. The inaugural International Takaful Summit took place in London and has since grown tremendously with prominent support from leading financial institutions and government bodies. 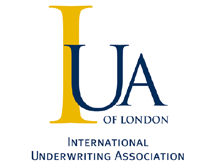 The London summits were held with the support of The Corporation of London, Institute of Banking and Finance in Malaysia and The Chartered Institute of Insurers. The summit was held successfully in an increasingly difficult financial climate and the final edition, the 6th International Takaful Summit titled ‘Takaful and Re-Takaful – Planning to Overcome the Emerging Challenges to Growth’, was held in July 2012 and sought to highlight the issues that continued to arise owing to the relative infancy of the industry against a backdrop of a challenging global financial environment. Alderman John Stuttard, Lord Mayor of City of London “There are many Takaful events around the world but this is The International Takaful Summit”. The 6th International Takaful Summit concluded on the eve of 12 July with a VIP dinner for sponsors, speakers and honoured guests at The Chartered Institute of Insurance and was unanimously heralded as the most successful in the series, with attendees exceeding 450 guests and feedback being extremely positive. Susan Dingwall, Partner at Norton Rose commented ‘This event has gone from a date on the Takaful calendar to a “must go” event. It is the representation from a wide geographical spread and the quality of content which has resulted in this conference being the “best attended” Takaful event on the circuit’. 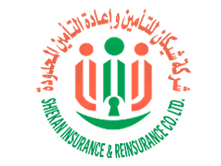 In 2013 ITS was held outside of London for the first time and was hosted in Cairo by the Ministry of Finance in Egypt and in association with The Egyptian Insurance Federation. The 7th edition of this series entitled ‘Capitalising on the Potential of the Global Takaful Industry’ was set to look at the numerous global opportunities for growth in existing markets as well as the potential proliferation in new territories. The Takaful industry had been afforded an unprecedented opportunity to capitalise on a global wave of change. The latent demand for Islamic finance products in countries affected by the Arab Spring bode well for the proliferation of Takaful as did the appetite for such products in non-Muslim countries with large Muslim populations. 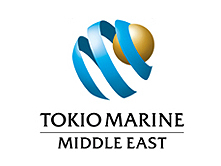 The agenda for the event focused on the emerging markets of Africa and focused on the strategies required to enable Takaful to compete with their conventional insurance counterparts in the Middle East and Malaysian markets. The most recent Summit took place in Abu Dhabi and was hosted by The Emirates Insurance Association, Bahrain Association of Banks & The International Federation of Takaful & Islamic Insurance Companies. Entitled ‘Enhancing the Takaful Proposition’ the discussion centred on the overall performance of Takaful in the Africa and the MENA region, looking closely at both the strength and weaknesses of the industry and way forward. Key topics addressed were Challenges for Takaful Operations in the UAE, Making Bancatakaful Work in Saudi Arabia, the Growth of Family Takaful in Malaysia, The Increasing Focus on Risk Management for Takaful Operators, thoughts on Filling the Gaps in Re-Takaful Provision and Reflections on the Bahrain Takaful / Re-Takaful Market.